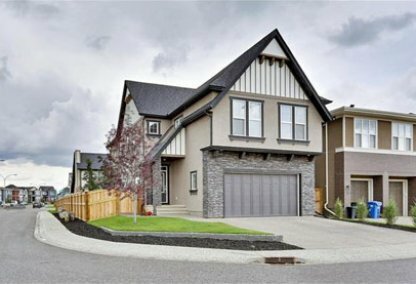 Search Mahogany homes for sale & real estate in Southeast Calgary. Mahogany, Calgary’s newest lake side, master planned community is found in the city’s vibrant and ever growing SE region of Calgary. Centered around the largest freshwater lake in Calgary, the community is equipped with an extraordinary mix of Mahogany homes, restaurants and shops. For information about Mahogany neighborhood properties for sale or to schedule a private home showing, contact Mahogany Calgary real estate experts. Gearing up to buy or sell a home soon in Mahogany? Call Justin Havre at RE/MAX First at 403.217.0003. Your neighborhood Mahogany realty team is here to help navigate the Mahogany real estate market. With four different neighbourhood collections to choose from, consisting of custom homes, luxury estate homes, laned and front garage homes as well as attached homes, the various Mahogany properties will provide homeowners with a wealth of options. Four distinct neighbourhood collections make up this community: The Boulevard, the Lakeland Collection, the Reserve Collection and the Island Collection. Real estate in Mahogany varies between the high $200,000s to over one million dollars depending on the neighbourhood. The Boulevard Collection features attached, but spacious Mahogany houses for modern lifestyles. 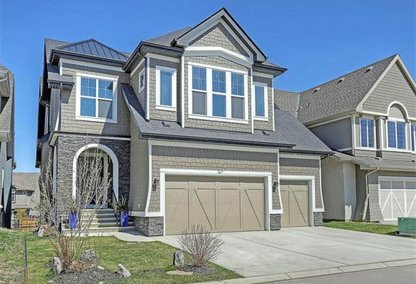 These premium paired homes are just a five minute walk from the lake. The Lakeland Collection includes laned houses and front garage homes, both with countless premium interior options. Various amenities like a toboggan hill, playground, off leash dog park and Mahogany Lake is within walking distance from these homes. The Reserve Collection features luxury estate homes. Elegant and refined, these houses will offer expansive floor plans and personal docks on the lake. The Island Collection offers the most premium real estate in the community. This neighbourhood offers prospective buyers the remarkable opportunity to purchase Mahogany land on one of two private gated islands and build a custom home. All of the four neighbourhoods will be within walking distance of the planned commercial and retail complex, at the main entrance to the community. Residents will have 265 acres of parks for their use, accessed from any point in the area through a network of roadways and trails. With the creation of the Mahogany Homeowners Association, the community will certainly become tight knit with all of the public events that will be planned. Neighbours will become lifelong friends and families will call Mahogany home for generations. The Mahogany Homeowners Association provides a variety of activities, programmes and services for members. Planning to buy or sell a home in Mahogany? Let our real estate team guide you in your hunt for the perfect home and professionally mediate the selling of your current home. As Mahogany neighborhood real estate agents, we know the ins and outs of the Mahogany real estate market. We'll point you in the right direction today! Contact Justin Havre at RE/MAX First to find out more about buyer or seller representation. Thinking of selling your Mahogany home? Check out our free home evaluation, where you can instantly price your Calgary home online in minutes!